Ekiti State governor, Ayodele Fayose, has called on the Federal Government to review upwards corps members’ monthly allowance from the current N19, 500 to N50, 000. He said the current allowance was no longer able to sustain corps members under the current economic situation in the country. 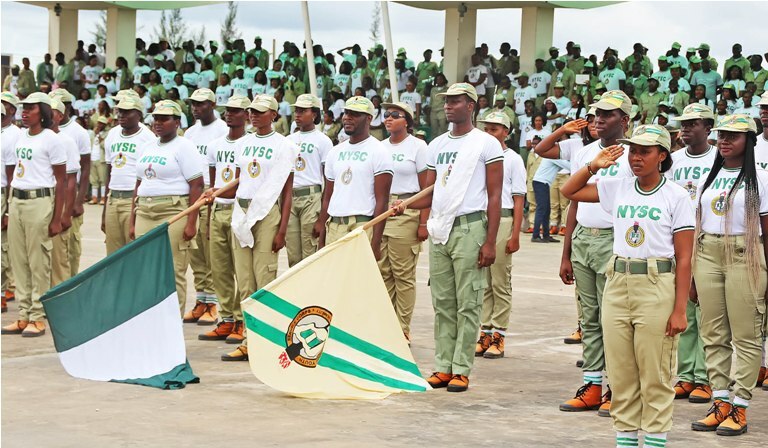 The governor, while addressing corps members on Saturday during a tour of the NYSC orientation camp at Ise-Emure, decried the deplorable condition of the camp and promised immediate the release of N20 million naira for the renovation of the camp. Mr. Fayose challenged the Federal Government to live up to its responsibility by coming out to tackle headlong, the challenges confronting NYSC, adding that the welfare of corps members should be a priority. The governor also promised the immediate donation of an official car to the NYSC State Coordinator. He pledged his constant support for the scheme and encouraged the corps members to be determined to break the jinx of poverty by being diligent. Mr. Fayose also paid a visit to the kitchen where members of Platoon 9 were preparing dinner for corps members. He was served eba, and characteristic of the governor, he sat right there at the kitchen and ate the meal to the admiration of the corps members. Earlier, the NYSC State Director, Eze Ukagha, commended the efforts of the governor towards the siting of the camp, provision of borehole facility, generating set, vehicle and other facilities during his first term in office. She however solicited the assistance of the governor towards the renovation of the camp and provision of some facilities. Mrs. Ukagha also thanked him for providing N650, 000 and N250, 000 for the repair of damaged roofs and medical bill of some corps members respectively. The Coordinator promised the commitment of the 2,116 Batch ‘B’, stream 2 corps members to the development of the state, describing them as very disciplined and dedicated set of corps members.